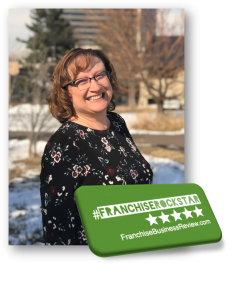 Lakewood, CO, April 11, 2019 – Payroll Vault’s Kristina Kefalas was identified by franchisee satisfaction research firm, Franchise Business Review, as being one of 2019’s Rock Star Franchise Owners. The Rock Stars recognized were nominated by their franchise brand leadership as franchisees who set admirable examples when it comes to leadership, business acumen, financial and professional success, and contributing to their community. As an Owner/Operator, Kristina has been, and remains, keenly focused on Payroll Vault – Lakewood’s success. She exemplifies relationship building in her community and understands professional reciprocation in its purest form. The attention and guidance that she offers her clients model her business expertise and leadership qualities. Visit FranchiseBusinessReview.com to see the full list of 2019 Rock Star Franchise Owners. Payroll Vault was created to serve the specific payroll service needs of small businesses. The company’s mission is focused on providing quality payroll services and solutions, complemented with outstanding customer service. Supported via an advanced and secure web-based technology platform, Payroll Vault offers a highly convenient, efficient, and real-time solution for clients. Payroll Vault is a national leader within the independent payroll service provider market. Learn more at PayrollVault.com.